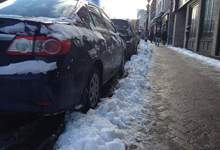 On Monday, during City Council meeting, a decision note regarding snow clearing and parking restrictions on sections of Water Street and Duckworth Street will be included in the council agenda. The recommendation to council follows public engagement and an operational review of the 2018 pilot project and proposes a modified approach for 2019. Reducing the time of the parking ban to 4 to 6 a.m. instead of 3:30 to 6:30 a.m. Towing when snow clearing operations required; ticketing when snow clearing is not required. New dates, January 2 to March 31, to coincide with the parking ban outside downtown. Enhanced marketing and advertising before the implementation of the ban. The City’s consultation process with residents and businesses included: meeting with the Downtown Advisory Committee, a focus group for the public, consultation with downtown businesses and organizations with downtown members, a survey of business owners, a public ‘quick poll’ and discussion page on engagestjohns.ca, social media promotion, and approximately 400 visits to the engage project page. The ‘What We Heard’ summary was presented to council in July. Details on the engagement process are available at engagestjohns.ca/water-duckworth-street-pilot-parking-restriction. Following City Council’s discussion and decision on Monday, the City will prepare the communication plan for the early morning parking ban. The City will also partner with downtown stakeholder organizations to provide information and marketing material to the business community.